The clear water and distinctive white sand beaches of Panama City Beach provide an attractive backdrop luring residents and visitors worldwide. Incorporated in 1977, the city is located in Bay County, part of Florida’s Great Northwest, stretching across the Florida Panhandle. The shoreline borders on the Gulf of Mexico offering a variety of year round water activities for all ages. Long considered a favorite vacation destination, the community’s redevelopment and regeneration has created an atmosphere appealing to new business ventures, industries and high-tech companies. The availability of higher level jobs has stimulated economic growth and improved the quality of life for residents. An international airport servicing the area, upgraded methods of transportation around the city, including a county-wide trolley system, and expanded city services, have focused attention on this waterfront community. Families interested in relocating or tourists looking for a permanent vacation home will find that Panama City Beach offers highly valued water front homes, beach front condos for sale and upscale business properties. More than just a beach with breathtaking views, it is a vibrant, welcoming community. Professional Realtors are committed to fulfilling buyers’ expectations by finding the perfect home for every client, whether it is a classic water front bungalow, a patio house or an upscale condo overlooking the Gulf of Mexico. Local Real Estate Agents take into consideration your needs, interests and goals and can offer homes in specialized golfing communities and boating communities with access to inlet waterways or the blue waters of the Gulf. They will create a personalized strategy that will make it easy for you to buy a home and get settled into the community quickly and efficiently. If you are ready to sell a home or upgrade, a local Realtor can provide all the help necessary to make it a stress free experience. 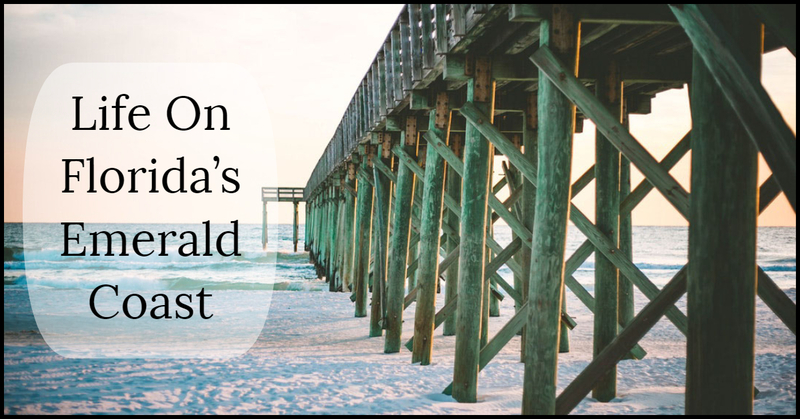 If you’re looking for a great school system, Panama City Beach may be right for you. The Bay District School System ranks high in the State of Florida, with teachers and staff committed to educating and serving students and their families. In addition to the public schools providing primary and secondary learning, there are two four-year colleges located within Bay County offering higher education to students who desire to remain in the area. Numerous local parks provide residents and visitors with year round opportunities to participate in sports activities, festivals, indoor and outdoor events and special shows. The Frank Brown Park is dedicated to outdoor, family friendly recreation that includes playgrounds, a fishing pier, ball fields and courts, a dog play area and an Aquatic Center. The Aquatic Center is an indoor facility, providing locker rooms, showers, community classrooms, a swimming pool, gift shop, a senior center, and a concession stand. Pier Park is a beach attraction featuring unique, up-scale shops, restaurants and entertainment. This family oriented experience opened in 2008 and continues to expand and develop, becoming the highly rated Panama City Beach Downtown. Residents and tourists enjoy the many theme parks, museums, theatres, and art galleries that are available within the region. Boat tours and cruises are available providing fun, entertainment and learning opportunities. This is a city that has much to offer whether you are single, a young couple, a lively family or retired adventurers. It will provide opportunities to explore natural habitats of native fish and birds, to learn about the wetlands and to swim with dolphins. For more information contact a local real estate agent today and learn more about how to buy a home that will let you create a new lifestyle.